Rabbi Chaim Marcus was named Rabbi of Congregation Israel in September 2002, after having served with distinction as the congregation’s Assistant Rabbi and Youth Director. 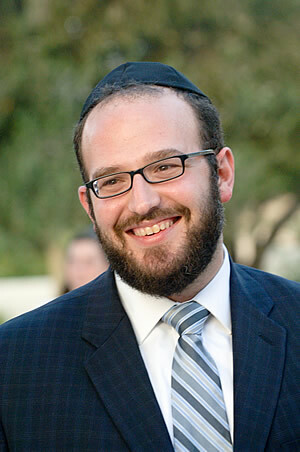 Since his arrival, Rabbi Marcus, has made a dramatic impression on our shul and our community. In addition to expanding and enhancing learning opportunities for adults and children, and forging effective links with many other Jewish organizations, he has inspired members of all ages to embrace his deep love of Torah and Klal Yisrael. A leader by example, he is also a wise and trusted adviser, and an incisive and powerful speaker. Descended from a long line of august and influential Rabbis, Rabbi Marcus was raised on Staten Island, New York, where his father served as the Rabbi of the Young Israel of Staten Island for more than 30 years. After his father, Rabbi Jay Marcus retired, he assumed the position of Rabbi Emeritus and was named the founding Dean of Yeshivat Reishit, located in Beit Shemesh, Israel, where he and all of his sons have taught, including Rabbi Chaim Marcus. Rabbi Marcus was educated at the Rabbi Jacob Joseph Yeshiva and Yeshiva University High School. He had the great privilege of learning at Yeshiva Har Etzion in Israel under the tutelage of the renowned Rabbi Aharon Lichtenstein, before entering Yeshiva University. He earned a bachelor’s degree in economics from Yeshiva College, and received rabbinic ordination (Smicha) from YU’s Rabbi Yitzchak Elchonon Seminary. In addition to leading the dynamic Congregation Israel community, Rabbi Marcus teaches Judaic Studies at Bruriah High School for Girls in nearby Elizabeth; lectures on behalf of Yeshivat Reishit across the United States; participates in Springfield civic affairs; and always finds time to play in the shul’s annual father-son touch football tournament. Rabbi Marcus and his wife Lea have five children. Their home is a short walk from Congregation Israel and their door is always open.